When you have a crowd of 200 people to cater to, you want to make it quick and easy, fail-proof, and picky eater approved. 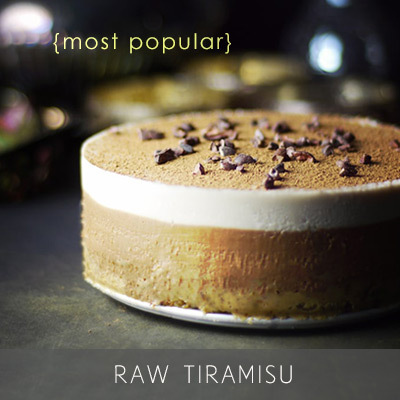 That’s where I think raw cheesecakes really shine. 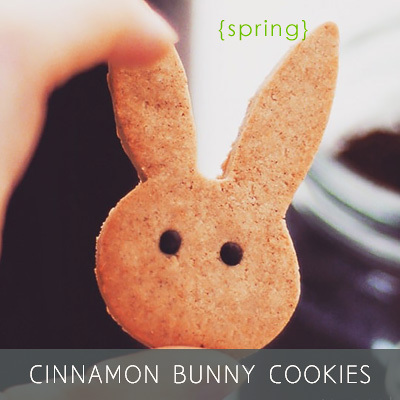 I’ve yet to see a person pass them up or not be impressed with them (unless for allergy reasons, of course). 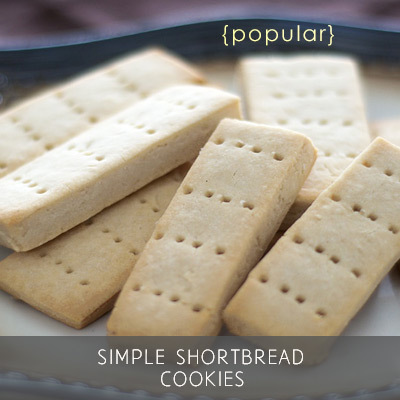 They’re always a super easy crowd pleaser. So that’s where my mind went (did I mention I cheesecake everything?!). 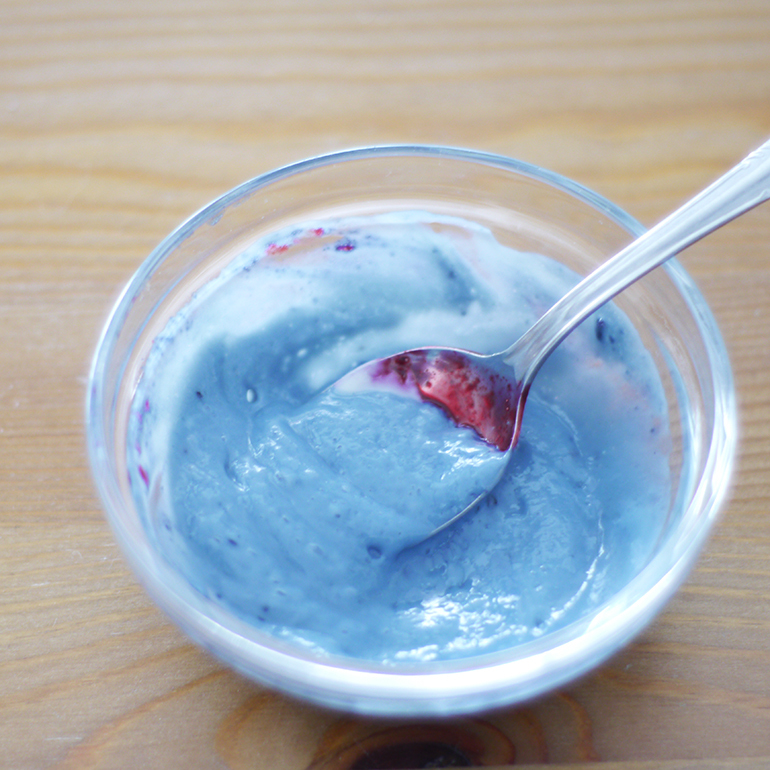 So I scoured the web and found some tutorials on how to make blue out of red cabbage and baking soda. Darn it, I knew there was a reason I was staring at that red cabbage at the grocery store for so long — pity I didn’t end up buying it! Living remotely means you have to make use of what you’ve got — no random trips to the store (unless you have a spare day or two for that sort of thing ;) ). So I looked around my kitchen and started some experimenting, applying the red cabbage theory to other reds and purples I had on hand. Picture mad scientist Audrey entrenched in chemistry experiments all day — if only they let me do baking in high school chemistry class, I think I would have done quite well :) . What’s gold? Cashews. What’s even more gold? Toasted cashews. What’s white? Cheesecake. What’s blue? How about we leave them blueberries intact… ;) That worked. PHEW. The cheesecake turned out lovely, and I think very appropriate for Baby’s first birthday. Funny how I can complicate things so much, when a simple combination does the job quite effortlessly. P.S. After all my experiments, I only had enough materials to make a very small cake. Doubt this 5-incher could feed 200 people… So to have it make more sense for a party, the recipe would obviously need to be multiplied. I put in ingredient amounts for a 9″ cake in brackets for that reason. 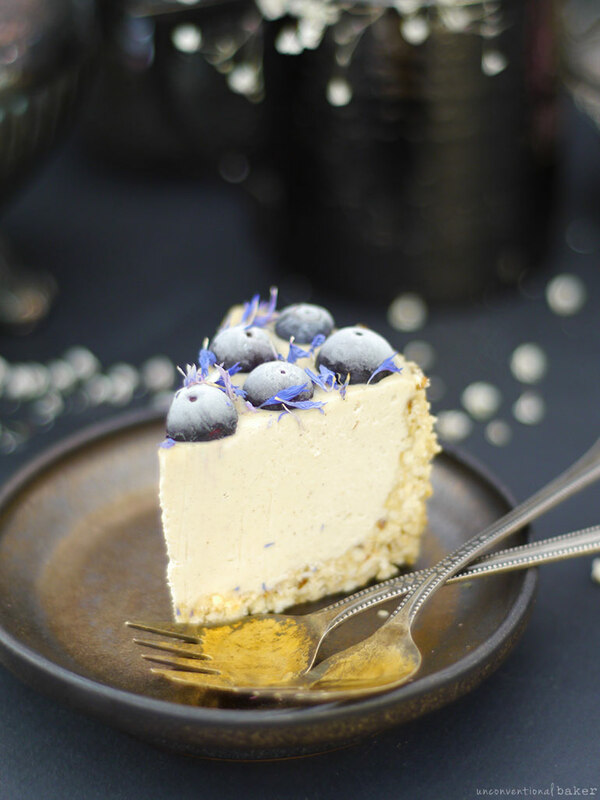 A raw, vegan blueberry cashew cheesecake themed in white, blue, and gold colors. Guaranteed to please even picky eaters. Process all filling ingredients, except agave / maple, into a fine crumble. Add the sweetener and process to combine into a sticky mixture. Transfer this mixture into a 5″ springform pan (or a 9″ depending on what you’re using — see notes above recipe), and press into a crust along the base and walls. Place in freezer while working on the next step. Process all filling ingredients into a smooth mixture in a high speed blender. Pour this mixture into the prepared crust, filling it a tiny bit lower than the edges of the crust walls. 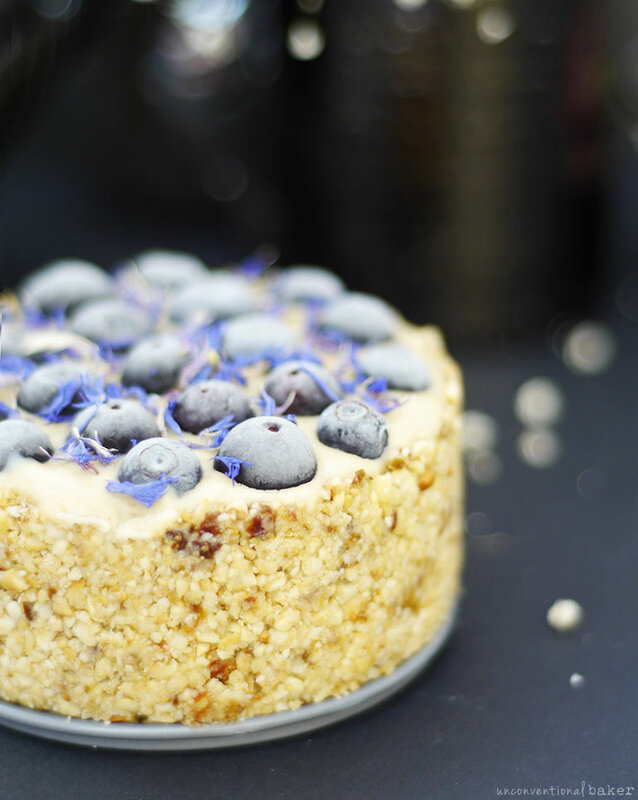 Sprinkle with fresh blueberries and flower petals (if using). Freeze for 5-6 hours or overnight. Enjoy! Keep leftovers in the freezer. P.P.S. 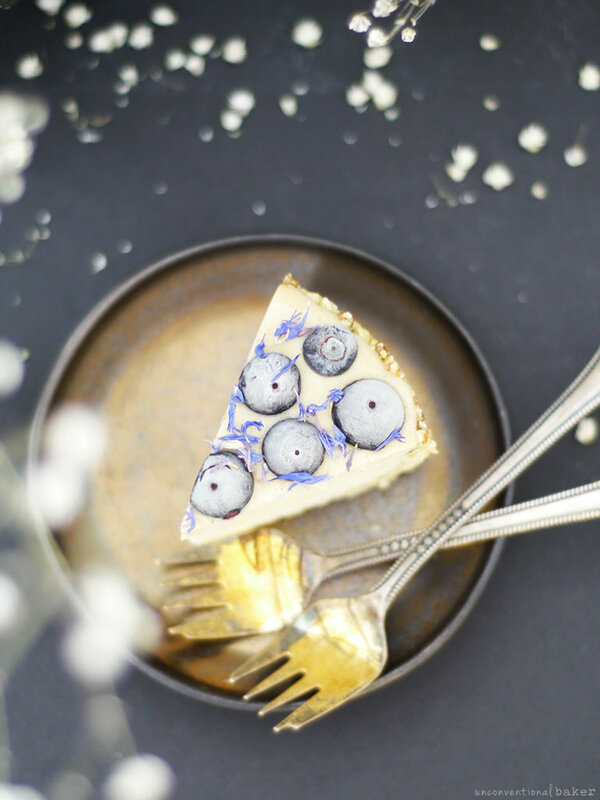 I have a few other blue, white, and gold ideas to share for cakes. I just loved this one, so sharing it here. 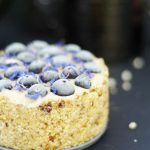 And if you wanted to do this, but can’t have the nuts, you can adapt the cauliflower cake to make a similar concept (I’d use blueberry jam instead of raspberry, which would add a bit of a purple into the mix, but make a lovely cake too). 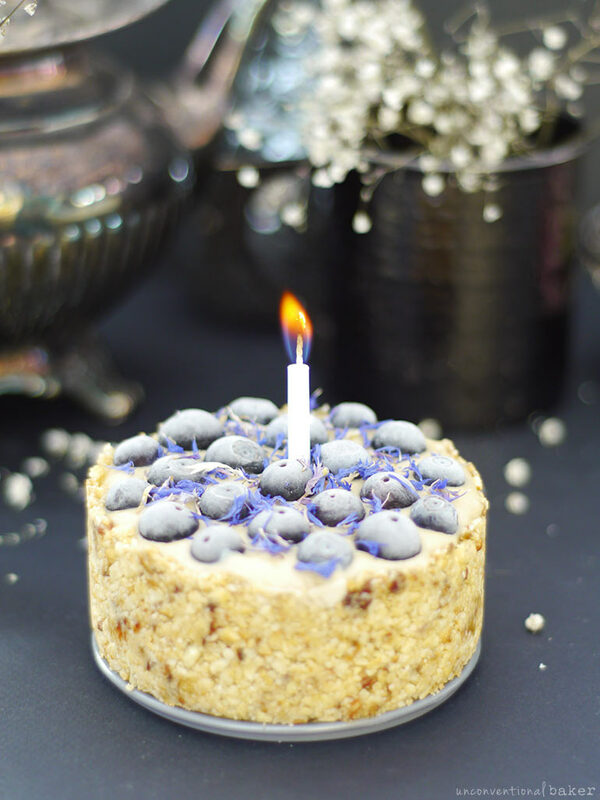 Disclaimer: this recipe contains an affiliate link to the blue cornflowers I used and the natural food colors I recommend. Excellent recipe, made it into 6 mini cheesecakes and added some blueberries to the filling. 10/10 will make again! How long do you soak the cashews for? What do you mean “strained”? I’ve never soaked cashews before so I’m a little clueless! 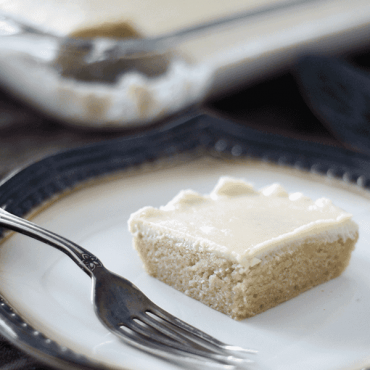 Can you divulge the secret of applying the chopped nuts to the sides of the cake? Love all your recipes! Thanks. Hey Valerie. I actually didn’t apply them to the sides of the cake here in a traditional sense (like you know those cakes you buy at a bakery..). What I did here is just shaped the crust (while working with it step 1) to be a thin layer along the base and all the way up the sides. Then poured the filling in and let the cake set. In traditional frosted cakes though, if you wanted to add nuts to sides, first you need some kind of a frosting that will hold them (i.e. a cheesecake doesn’t make a good frosting subject as it’s too firm..), and then you just take small handfuls of the nuts and apply them to the sides a handful at a time. It’s a bit tricky to explain, but once you start doing it it’s quite simple and you get the hang of it quickly :). But this technique is not necessary for this recipe. 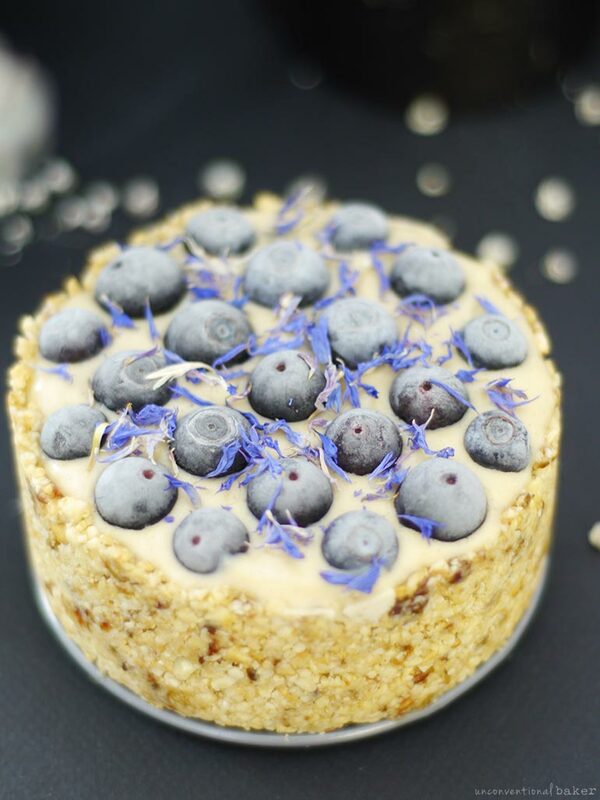 Cashews, vanilla and freshly picked blueberries…such delicious flavors and melt-in-your-mouth awesomeness! Thank you, Audrey! It turned out so good! Oh, and, it was super easy to make. Thank you! Aw, so happy you liked it Lana! :) Thank you for the feedback. 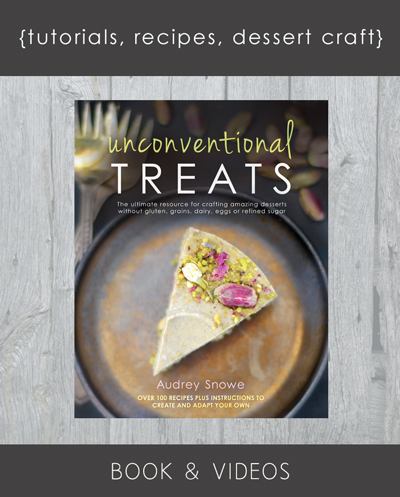 Hi, Audrey, thank you so much for the recepie, but I have a question regarding the quantities of cashews. Are they correct while changing from 5″ to 9″? I will be making 10″ :) Thanks in advance! Yes, the 9″ ingredients are in brackets. You could make a flatter 10″ from that, or multiply the 9″ ingredients by 1.5 to make the 10″ look like this or by 2 to have a tall 10″. 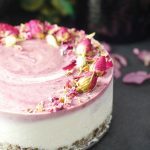 The only problem is that your blender might struggle with the larger amount of ingredients, so you’ll probably need to make the filling in 2 batches just to be safe. The one inch increase doesn’t seem to warrant the 50% increase of the recipe… but in many cases it does :) The way the conversion works is not so much based on the diameter in inches, but on the volume of the pan. I calculated the ideal measurements for increasing / decreasing cake sizes based on average pan volumes (which are listed in the downloadable guide at the bottom of the post above), so the conversions I propose are based on the average amount of liquid a pan can contain. A 1″ increase in diameter significantly increases the volume of liquid the pan can hold as you get to the larger size pans. So in the smaller pan sizes (say you’re jumping from 4″ to 5″) it’s not a huge deal, but when you’re jumping from 9″ to 10″ the volume increase is much larger). Additionally larger pans tend to have taller sides, which means more volume going upwards to keep the taller look of the cake intact. Edit: Forgot the orange blossom water — so it actually doesn’t taste like an orange. It’s more of a delicate floral flavor. Quite delicious and fragrant. It’s used a lot in Middle Eastern cuisine and also in many European baked goods (like in France, Spain, etc.). It’s a nice new flavor to try out sometime. You are the sweetest! A super special start of easter! !! Thank u sooo much! !!! Lots of love! !!!! So happy it works, Maria :) I posted the second recipe on the blog btw, but I love this one most personally — super easy and delicious. You can use 2 extra dates in the crust in place of the coconut oil. 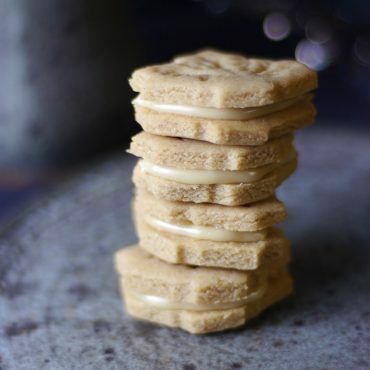 In the filling, a good substitute can be: cacao butter or dairy-free butter. Thanks Natalie :) Yes, and I can’t forget Tiina’s beautiful blue parfait too — only sadly I don’t have any Finnish winter lighting to share with others for the recipe to work ;) — that was her trick. But all the gold…well yes <3 Cashew are gold in every aspect! You should have used some purple sweet potatoes! They get blueish when baked! But add baking soda and it's the same greyish..sometimes green color! Hahahaha! Oh, how I wish I could lay my hands on some of those purple potatoes. I’ve yet to find them anywhere!